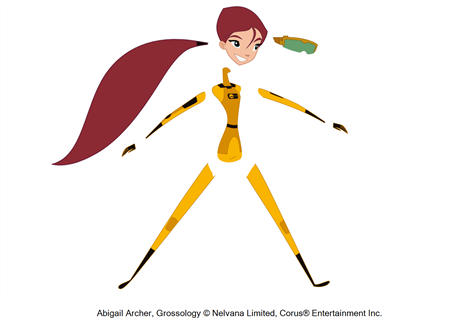 Cut-out animation consists of breaking down a puppet into pieces that are moved frame by frame to animate the character. It can be divided into two categories: classical and digital. When working in the classical cut-out style, the animator manually moves the parts under a camera and shoots each frame before moving on to the next pose. When working in the digital style, the parts are moved in a similar way as the classical cut-out style and then keyframed in the computer software, which means that it is fixed and recorded digitally. Since the characters and objects are composed of many parts, the animator does not need to redraw them on each frame, but can just move or distort the parts to create the animation. Harmony allows you to do digital cut-out animation, which has become increasingly popular in recent years. Cut-out animation requires you to be familiar with digital graphics applications. Cut-out animation is very useful in cutting down the time it takes to complete a project. 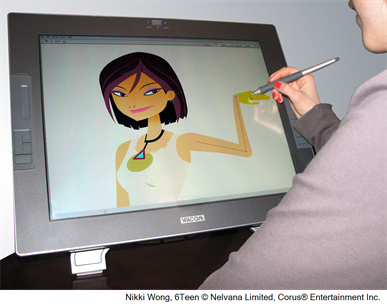 There is no need to redraw characters and the computer can handle a large part of the in-betweening. It also eliminates the paper used in traditional animation and allows you to instantly see a line test. The team for a cut-out project is much smaller than that of a traditional production, allowing the whole production to be kept within the same studio. This also means that you have a great deal of control over quality.